On the bright side, a 3rd REIT ETF - Lion-Phillip S-REIT ETF will be listed on SGX. 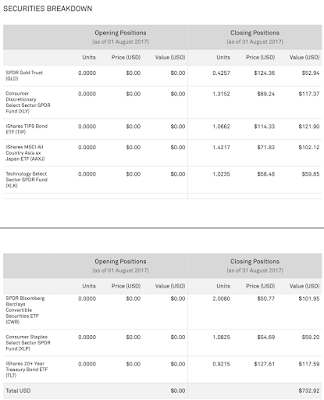 The main difference is that the REITs in the ETF are all from SGX. 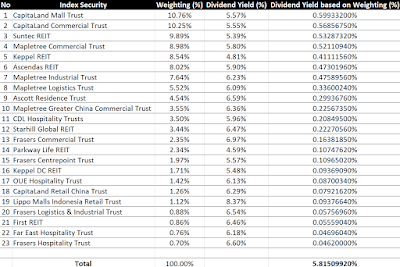 The ETF attempts to replicate the Morningstar Singapore REIT Yield Focus Index (click on "Equity" follow by "Dividend"). You can refer to the prospectus in MAS site for more information too. The ETF comprises of 23 SGX REITs with different weighting. 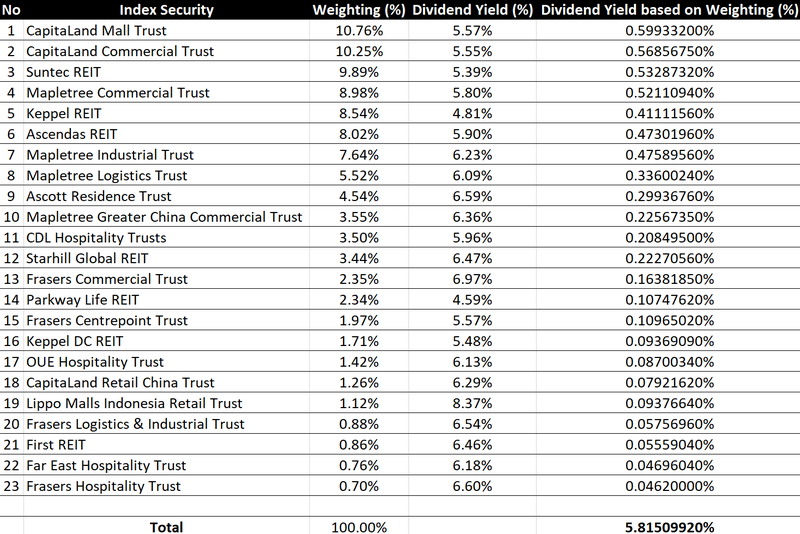 I extracted the dividend yield of each REIT according to reitdata.com and compute the estimated dividend yield based on their weighting to obtain an estimated dividend yield for the ETF - 5.82% 4.81% (after deducting off 17% corporate income tax). The ETF aims to distribute dividends semi-annually (which are not guaranteed). 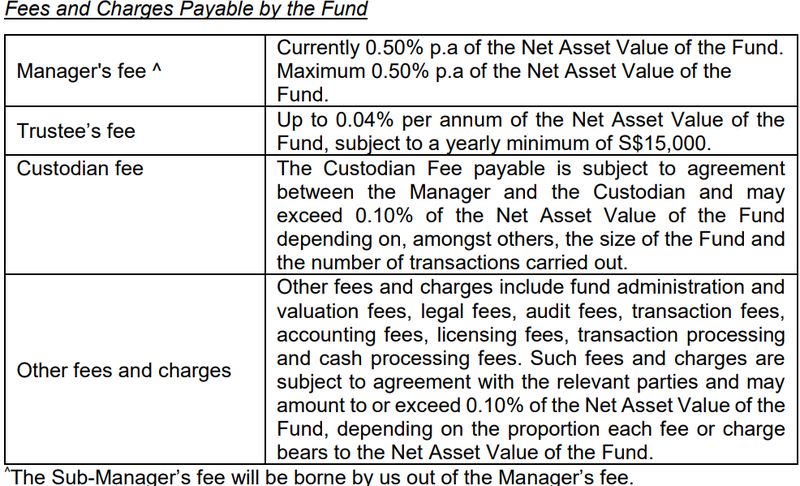 The expense ratio for the ETF is currently unknown but the information on the various fees and charges were provided (at least 0.55%?). We are definitely interested in this but since we cannot afford to apply for 50,000 units, we will probably buy it from the secondary market. Let's see how it goes! 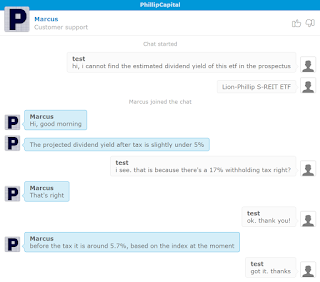 As pointed out by ziyang and others in one of the FB group discussion, there are corporate income tax rate of 17% on the dividends for the ETF which will reduce the overall return significantly! We will probably give this a miss instead! 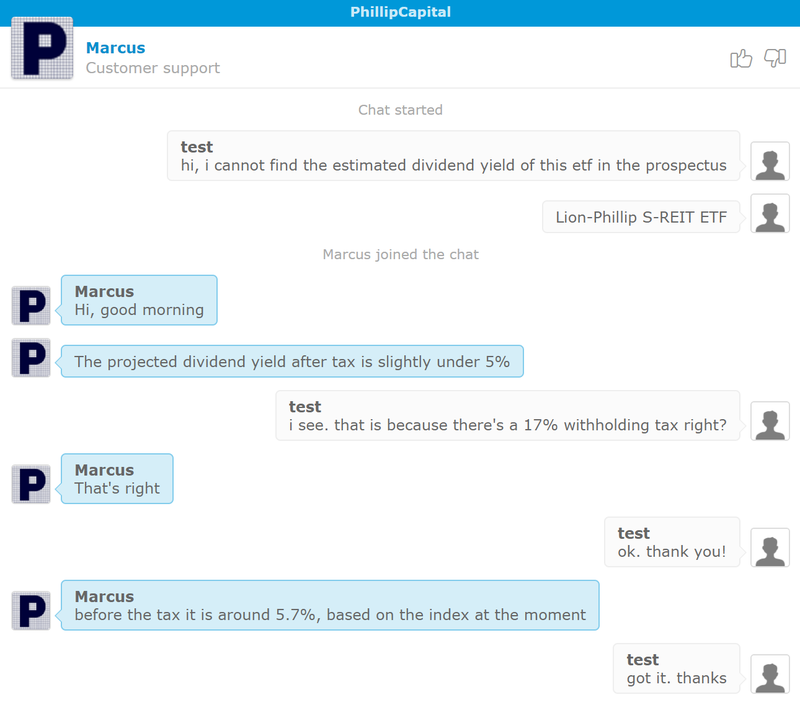 Confirm that my analysis is correct, after tax withholding/corporate income tax, the dividend yield would be around a high 4%+! 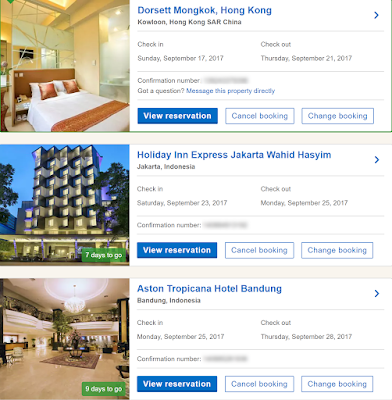 Going on Holiday to Hong Kong and Indonesia! KPO and CZM will be going on holiday for the next 2 weeks - Hong Kong for 5 days and Indonesia (Bandung and Jakarta) for 6 days! Disclaimer - I did not pay for all the trip. The KPO is referring to our KPO Expense Fund :) Our flight to Hong Kong is through Jetstar (without luggage). If you are wondering why the flight to Bandung is so cheap, I have written an article on how/why we decided to use miles to exchange for it - KrisFlyer 50% Redemption Promotion on SilkAir. 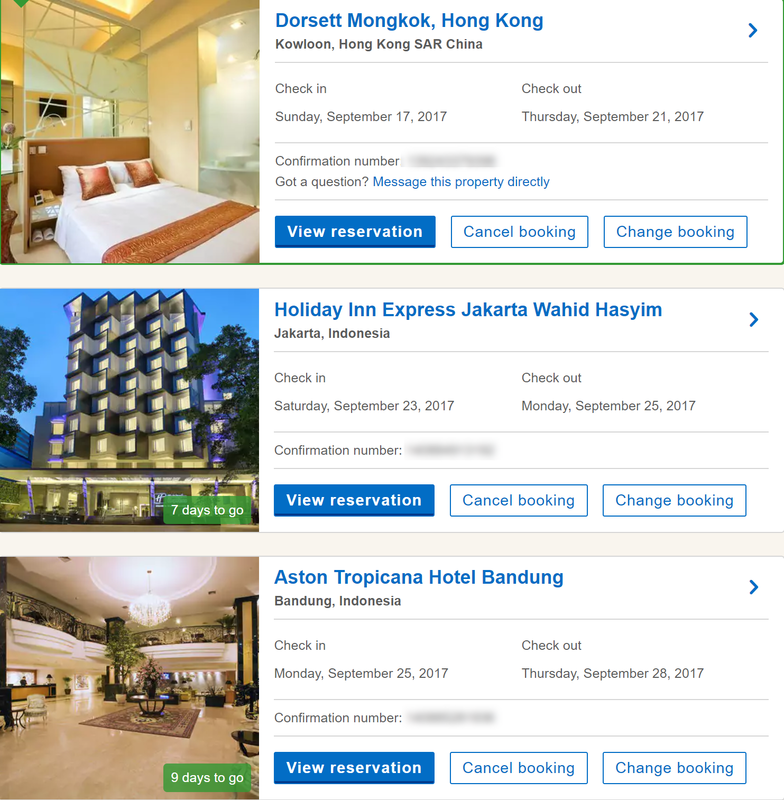 Our hotels were all booked through Hotels.com and we used ShopBack too! If you have yet to sign up for ShopBack, you can use my referral link to get $5 in the account first and another $5 once you make a purchase! KPO gets $5 too only when you meet a minimum spend of $25 + cashback turns redeemable. Personally, I have collected >$100 of cashback from ShopBack. The site is legit! lol. Do you know what's the fastest way to become a millionaire? 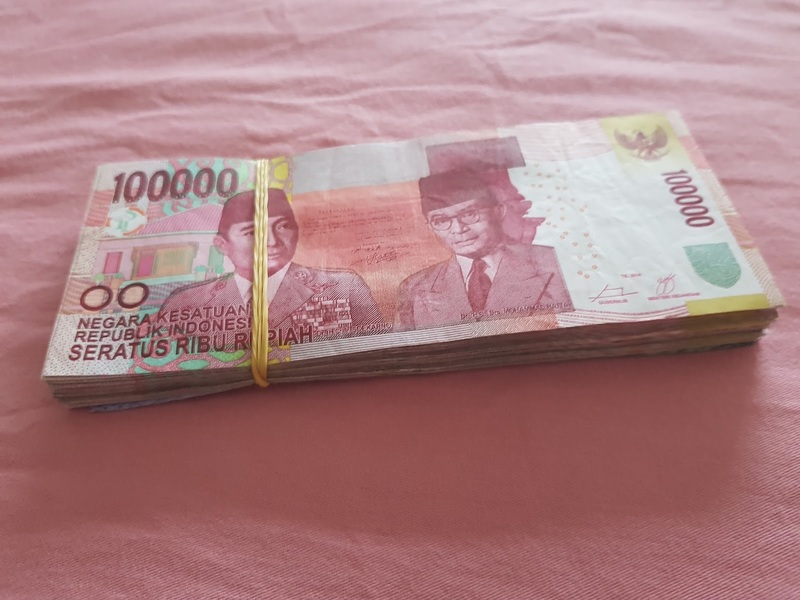 Change $102 SGD to Indonesia Rupiah. I guess this joke never gets old. Hahaha. I was given this stack of cash by the money changer. KPO and CZM will be carrying 7.72 million with us. So much for losing 4 kg in the last 2 weeks... Will I gain it back in the next 2 weeks? 买东西, 吃东西 >.< For the non-chinese, it was an old advertisement by Hong Kong Tourism Board where one gets to shop for lots of stuff and eat non-stop. Yay! 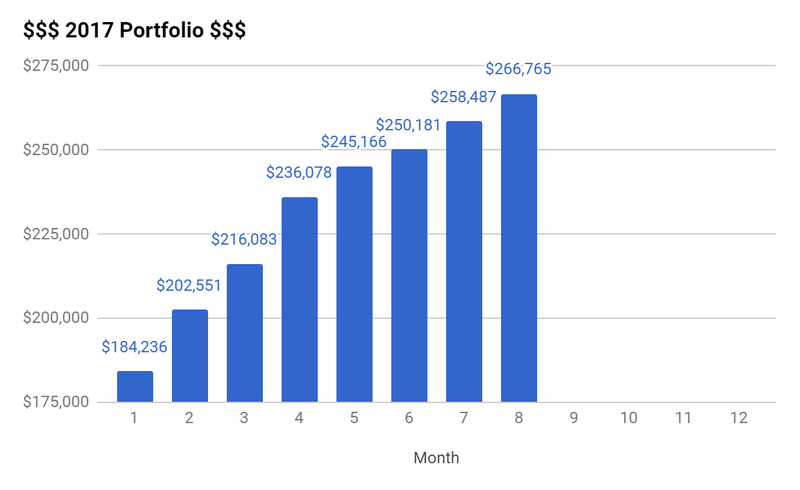 KPO's CPF has hit a milestone, my SA (Special Account) has hit its first $40,000! If you are wondering, what is the big deal? It is just 4/5% of risk-free interest (for now) that can be compounded for many many years :) I have been transferring my OA to SA ever since I started working. The reason why I can do this is that I do not have any liability/mortgage to pay as of now. Going forward, I will stop transferring as I need to build up my OA for my house in 2019! To be more specified, OA has 2.5% interest with an additional 1% on the first $20,000 (3.5%) and 4% for SA and MA with additional 1% on the first $40,000 (5%). You can refer to the CPF site for more information - CPF Interest Rates. Assuming if I were to stop working now and there will be no contribution to my CPF SA account anymore, I would have an estimated amount of $141,000 in my SA account when I reach the retirement age of 55. That is an increase of 2,525% based on simple interest. Pretty impressive right? This is also why Albert Einstein claims "compound interest is the most powerful force in the universe". KPO took a step further and tried to forecast the Basic Retirement Sum required when he reaches his retirement age to see if he can hit it "now". lol. 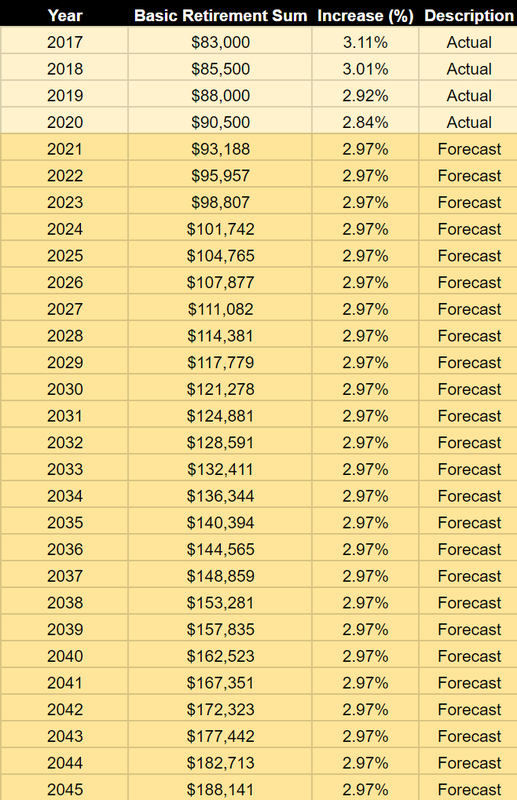 According to the CPF Retirement Sum Scheme site, the Basic Retirement Sum has already been determined for the next few years, till 2020. Based on the above, the average "inflation" rate is around 2.97%. Woah. $188,141 is required (imagine the pui blood meme). Seems like KPO needs to continue to work and contribute to CPF. Hahahaha. 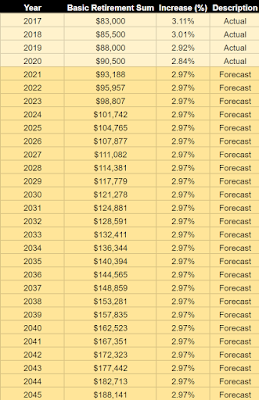 You can refer to this spreadsheet or even download a copy and play with it - CPF SA Forecast. Let me end with another of Albert Einstein's quote - "Compound interest is the eighth wonder of the world. He who understands it, earns it ... he who doesn't ... pays it". We have finally received the August monthly statement from StashAway! Immediately KPO went into excel/spreadsheet mode and generated MULTIPLE spreadsheets. We received the statement last Friday but was too busy window shopping at bridal shops over the weekend. Hence, this article got delayed. You will be able to see the amount of USD invested in securities/ETFs together with the cash (USD and SGD). The total value is displayed in SGD based on the exchange rate provided by Saxo on the last day of the month. You will be able to see your position at the first day of the month vs the position at the last day of the month. 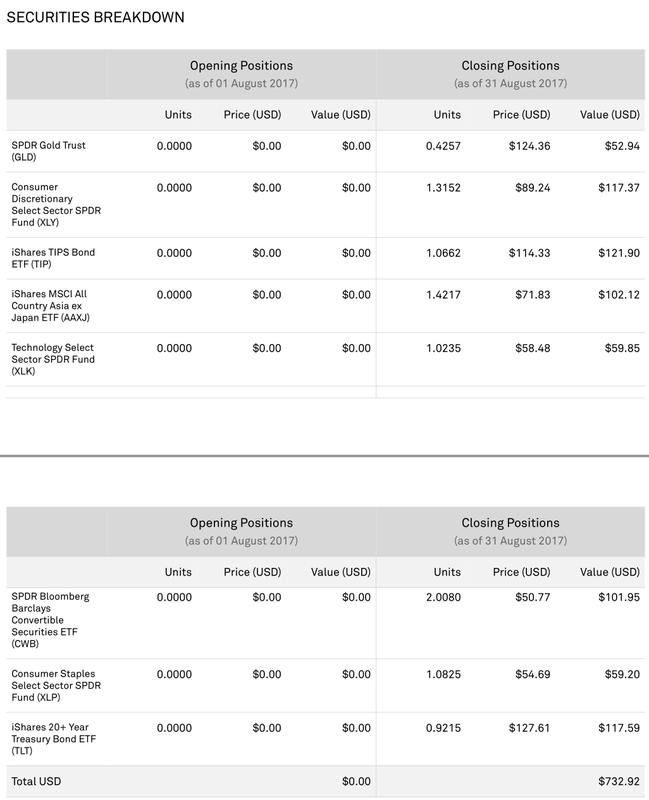 The closing positions in August will become the opening positions in September. I have a love and hate relationship with this section. One of the most annoying thing when I was first started using StashAway's platform is that there is no information on the average cost price. As a result, I have no idea/visibility as to which ETF is the one making/losing money and it felt like a blackbox. 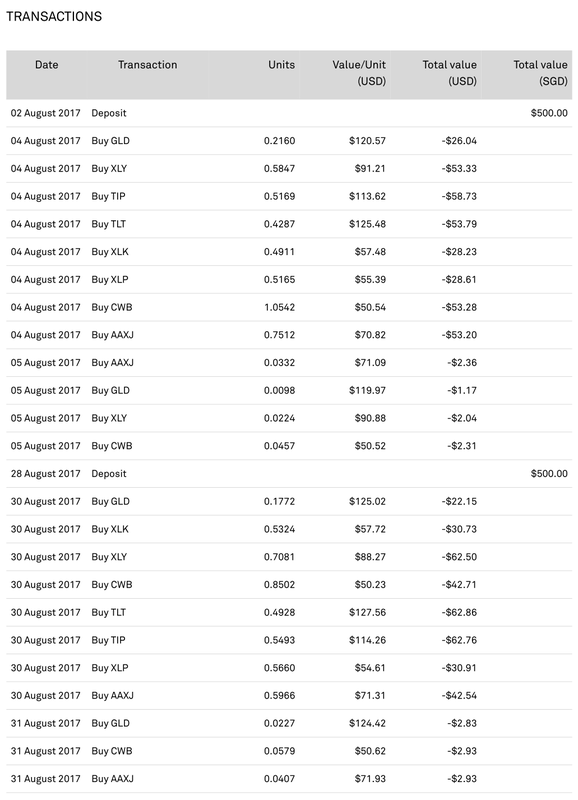 However, with the above information, I can compute the average cost price for each ETF myself and was able to tally the numbers on my spreadsheet (modified based on Investment Moat Portfolio Tracker) with what is shown in their platform. At one glance, I can easily tell that Consumer Discretionary Select Sector SPDR Fund is losing money. The thing which I still hate is that the spot/exchange rate for the conversion of SGD to USD is not being captured in the transactions or anywhere in the platform! 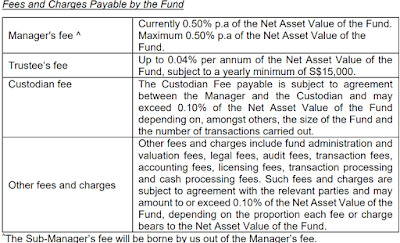 The fees are deducted on a monthly basis based on a monthly average. It was pretty random but CZM and I went to check down to a few bridal shops over the weekend. However, our intention was to check things out and not sign anything. CZM has been sharing and tagging me on a lot of Rico-A-Mona gowns on FB. She would ask me if this or that is nice and I would always say "all of it looks nice on you". Hahaha. Naturally, that was the first bridal shop we went to check out. We were served by Sinny and she was pretty nice, not pushy at all. She started by explaining the details of the package and then CZM showed her some of the gowns she shared on my FB page. Sinny let CZM tried all of them and even recommended her something different! When CZM first wore the gown and walked out of the fitting room, my heart melted. CZM is so pretty <3 Unfortunately, Rico does not allow one to take photo of their gowns. Anyway, seeing it on the show and experiencing it yourself is so different! In total, CZM tried 4 gowns (all very pretty) and we spent like 2 hours in Rico. Next, we grabbed (there was $6 off promotion for 20 rides!) to Yikeshu Bridal and Photography Studio since they were having an open house. We were served by Eagles who also started by explaining the details of the packages. Price wise, Yikeshu is a lot cheaper as compared to Rico! KPO's eyes $_$ We asked to take a look at the gowns and was then served by Helen. Similarly, CZM showed her the Rico's gowns that she like but Helen was not very helpful or good in recommending gown to CZM. She tried one of it which both of us thought was not very nice and CZM lost interest. I am so wrong >.< Not all gowns are nice. The overall experience was so different and we spent about 30 minutes in Yikeshu. We grabbed again to International Plaza and wanted to visit Alisha & Lace under the recommendation of a friend but they were out for a wedding show! Fortunately, 1728 Wedding House was opened! We wanted to check out 1728 because one of their models is our friend! We were served by Elaine who showed us their packages too. CZM then went on to try 3 gowns (2 looks nice but 1 with sleeve looks weird. lol). On a side note, Elaine is also the makeup artist for Mrs. Fish Bridal. We spent about an hour in their cozy small shop and left the place feeling extremely tired and hungry. Our portfolio grew by 3.20% to $266,765 - $5,182.17 of capital injection and around $3,095.83 of capital growth! Amazon first launched its services in Singapore last month and immediately, we saw weakness in Sheng Siong price and decided to accumulate more. We surveyed both our parents and they said "online grocery not fresh". lol. This article by Singapore Business Review - Why Sheng Siong can shrug off threats from Amazon states that "Singapore's online grocery retail market remains small at less than 2% or $96m of modern grocery retail sales of $6b". Initially, I scheduled $500 to be transferred to StashAway on the 1st of every month. However, when the monthly statement came last month, it did not capture the transaction made on the 1st. Hence, I shifted the transfer to the 25th of every month. I am currently waiting for the monthly statement (should be this week) and I will publish another article to give you guys more insight into it. Depending on what is shown/captured in the monthly statement, if we are comfortable with it, we might increase our monthly contribution. I have not been very strict with the low carbs diet. When I told my mum not to cook rice/noodle for me going forward, she scolded me and said that I am being unhealthy. The next morning, she heated up a Bak Chang (粽子) for my breakfast and today she cooked fried noodle. lol. I am not complaining because I know I am very fortunate to have my mum take care of everything. Haha. On the bright side, I have been drinking Vitasoy/Mr Bean soy milk without sugar for lunch for the past few days. Not too bad but I do get hungry much earlier. My colleagues are asking if I am depressed and if my diet is a result of CZM leaving/changing job (we used to work in the same company). lol. Woah. I am a bit shocked. It has only been 3/4 days. Not everything that goes up is good especially when it comes to one's weight. KPO has been putting on more and more weight ever since he started working. He hardly exercises apart from the "force" IPT sessions which he surrenders signs up for because he cannot pass his IPPT. lol. 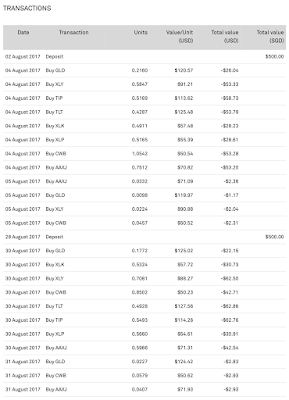 At one glance, we know this is a lousy stock unhealthy man, not sure why CZM continues to invest in KPO. To make sense of the above numbers, we shall make use of BMI (Body Mass Index). The formula is to divide the weight in kilograms (kg) by the height in metres (m) then divide the answer by the height (m) again to get the BMI. GG la. 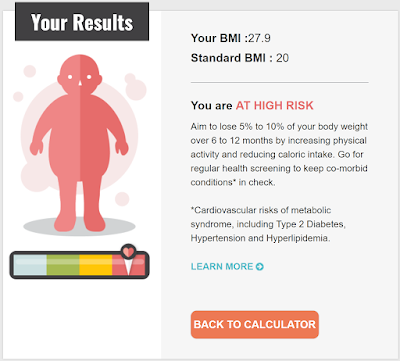 I am so far away from the standard BMI of 20. 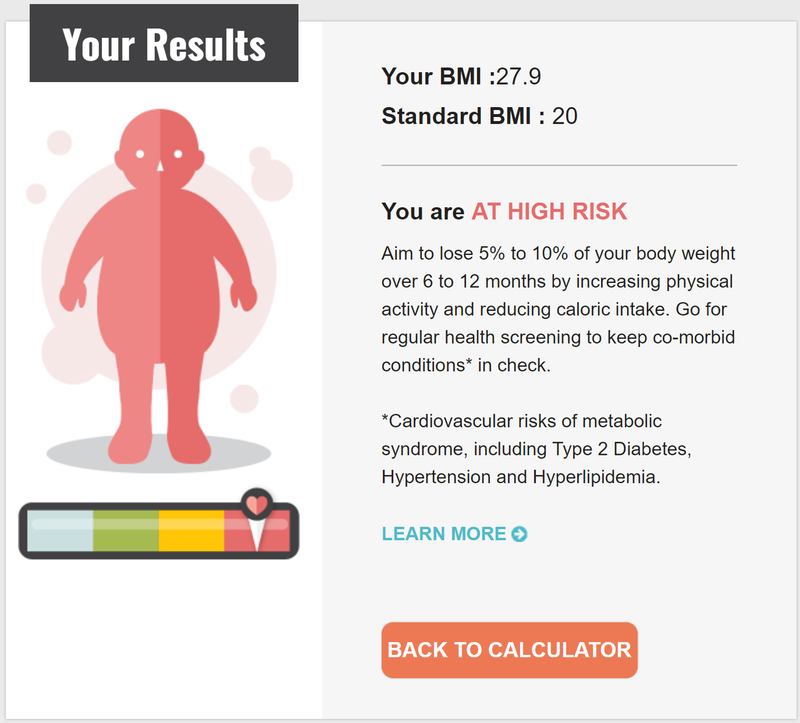 According to the above formula, to obtain a BMI of 20, my weight has to be around 60 kg. Siao! When I was in BMT also not so light. lol. Let me set a more achievable target - lose 10% of my current weight to 75 kg first. What's my game plan? 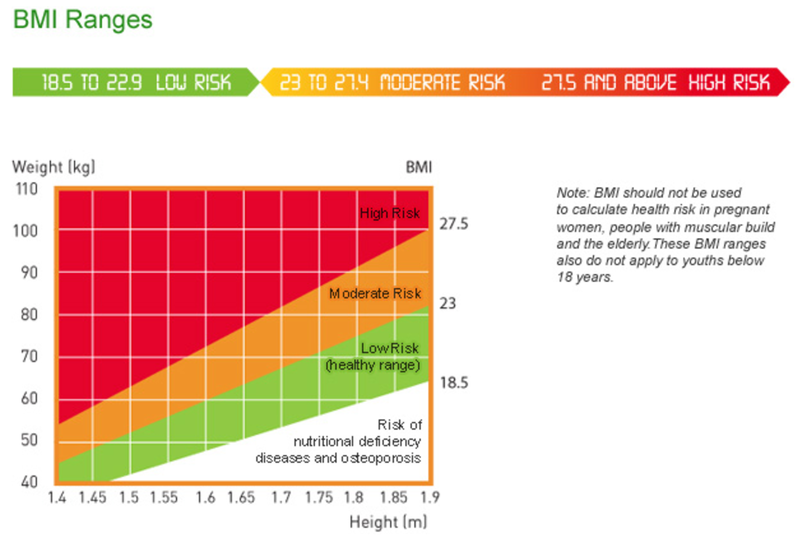 Reduce/avoid carbohydrate (low carbs diet in Singapore) and exercise more. CZM and I came up with a plan/punishment to ensure that we will exercise at least 4 times a week. Whoever that did not hit the target will have to contribute additional $5 per day to our KPO Fund. Example if I did not exercise for a particular week, I will have to top up $20! The reason why I need to lose weight is that CZM and I will be getting married next year and we have around a year remaining to prepare for it! CZM says she does not want to take photo shoot if we continue to be fat (her BMI is 20.8 but she is claiming that she is fat -.-) Anyway, we all know that it would not end well so I better start to lose some weight.